It's Christmas at Hampstead's Beresford Lodge. A group of relatives and intimate friends gather to celebrate the festive season, but their party is rudely interrupted by a violent death. It isn't long before a second body is discovered. Can the murderer be one of those in the great house? The stockbroker sleuth Malcolm Warren investigates, in this brilliantly witty mystery. 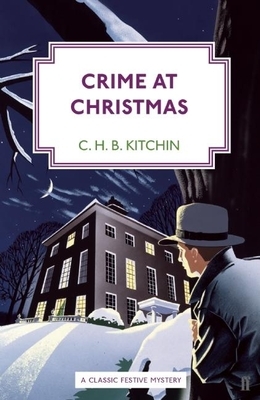 C. H. B. Kitchin was born in Yorkshire in 1895. He read Classics at Exeter College, Oxford and, after serving in France during the First World War, was called to the Bar in 1924. His novels include Streamers Waving (1925), Crime at Christmas (1934) and A Short Walk in Williams Park (1971), which was published after his death in 1967.